Kong is one of the most well-known brands when it comes to toys for both your canine and feline friends. They not only produce quality products but their continual innovation in products has seen them getting patent for their rubber toys as well. Kong was the brain child of Joe Markman, who single handedly started Kong in the year 1976. Kong came into existence more as a need of one man and his pet than a pre-planned product. Joe had been troubled for some time because of his German shepherd. He had started chewing rocks and it was becoming really bad for his teeth. 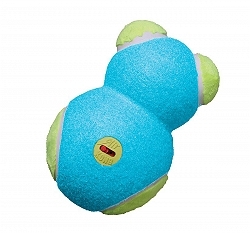 He wanted to create the perfect pet toy that would bear the incessant chewing and will satisfy the chewing urge of the pet as well. This experiment took almost six years before it reaped any results; it was at the end that he was successful in making the perfect dog toy that was made with natural rubber. It was almost the perfect chew toy for your dog. In the subsequent years Kong Toys gained and have still been gaining unprecedented popularity across the world and today even veterinarians have started recommending them to cater to the constant chewing. Kong Rubber toys have not only caught the fancy of customers across the world but have been a hit with trainers and dog experts across the world as well. The classic Kong toy looks like a snowman. If you look at it you will feel that three balls have been pushed into it together. Kong toys have been color coded to ensure a toy for every life stage and this makes it easy for the end consumer also to choose the perfect product for their pet. The blue and pink toys are for puppies, red is for standard chewing, the black toys have been specifically made for tough chewers and the purple is for senior dogs, who have trouble with their teeth. The prolific list does not end here they have manufactured and sell various dental chews, ball and floating toys across the world. they also make Frisbee and Squeaker toy for dogs and cats. As of today Kong toys are famous all over the world. In 2005the book Planet Dogs quoted in its publication that the Kong toys were the best toys that are available around the globe. At present there is a separate line of toys for cat also these are called Wubba toys to keep your cat busy for long hours. Along with this there are other toys that offer catnip, scratching and other different toys especially made for your cat.